Vision for SEND in Essex – Have your say! 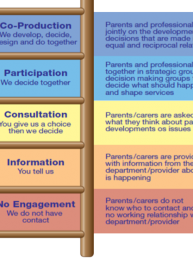 Our 'Ladder of Participation' graphic, showing you exactly how we operate with our forum members. Are you a parent carer of a child or young person aged 0-25 with additional needs or disabilities? Do you believe families’ voices should be heard to ensure services in Essex meet the needs of our children and young people? 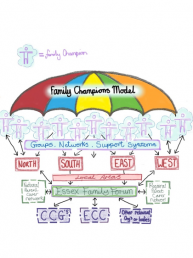 Sign up to the Essex Family Forum's mailing list to receive our regular newsletters direct to your inbox.